If you’re perplexed by what BB or CC creams are supposed to do and are wondering if you should use one, you’re not alone. With an ever-evolving alphabet soup of new products launching, it’s easy to get lost in the enticing claims and lettered acronyms. Once you understand the system, choosing which one to choose is far easier than it appears. BB creams originally caught on big in Korea and throughout East Asia over 10 years ago. The BB portion of the name originally stood for "Blemish Balm" (blemish referring to any skin imperfection, not just breakouts). When these products hit the U.S. market, they were renamed as Beauty Balms but there is nothing balm-like about any of these. The name is not the only difference. Asian BB creams tend to be thicker, with higher levels of zinc oxide and titanium dioxide for more opaque sun protection and foundation-like coverage. 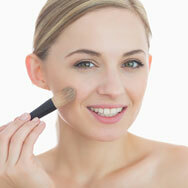 In contrast, most Western BB creams are closer to a lightweight tinted moisturizer with a sheer appearance. Regardless of the country, the main selling point of BB creams is that they provide sun protection along with some amount of some extra skin-beneficial anti-aging ingredients. At least that’s what the best ones contain—we wish more did. CC creams are a spinoff of BB creams but the CC stands for "color" and "correct." These versions usually provide sun protection and more coverage. They are also often touted as providing skin-brightening benefits for uneven, dull skin tone, but other than a cosmetic effect, the skincare ingredients don't always live up to those promises. In general, a great liquid or cream foundation can provide the same “color correction” as a CC cream, and many have beneficial ingredients, too! That doesn’t mean a well-formulated CC creams is a bad choice—it just means that it isn’t as unique as the letters or product claims make it sound. What About DD, EE…and XYZ Creams? To stand out from the crowd, a few companies launched different options with a varying range of letters representing what is essentially the same product: A tinted moisturizer or, in some cases, a creamy foundation with sun protection and (hopefully) beneficial ingredients. Regardless of the name, the best ones in this category contain at least SPF 30 or greater, as well as a range of beneficial anti-aging and skin-restoring ingredients. But rather than thinking you need to buy the next new XYZ cream, you may have just what you need with the foundation and wonderful skincare products you are already using.